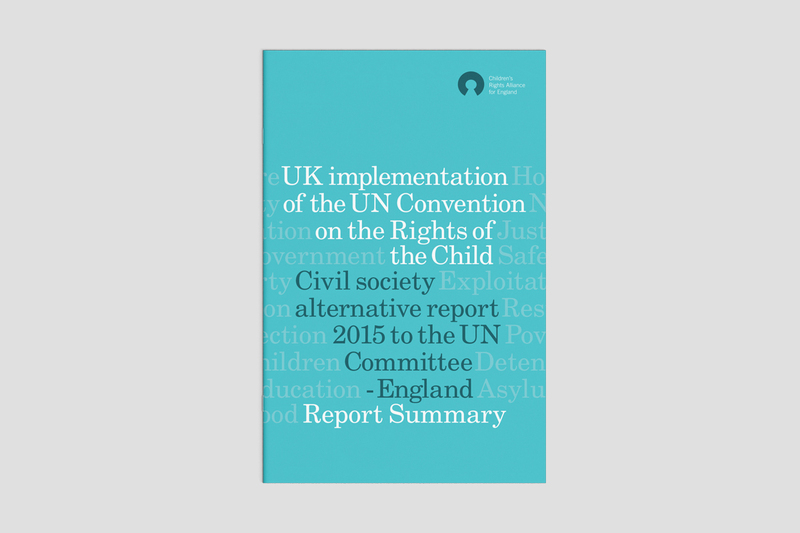 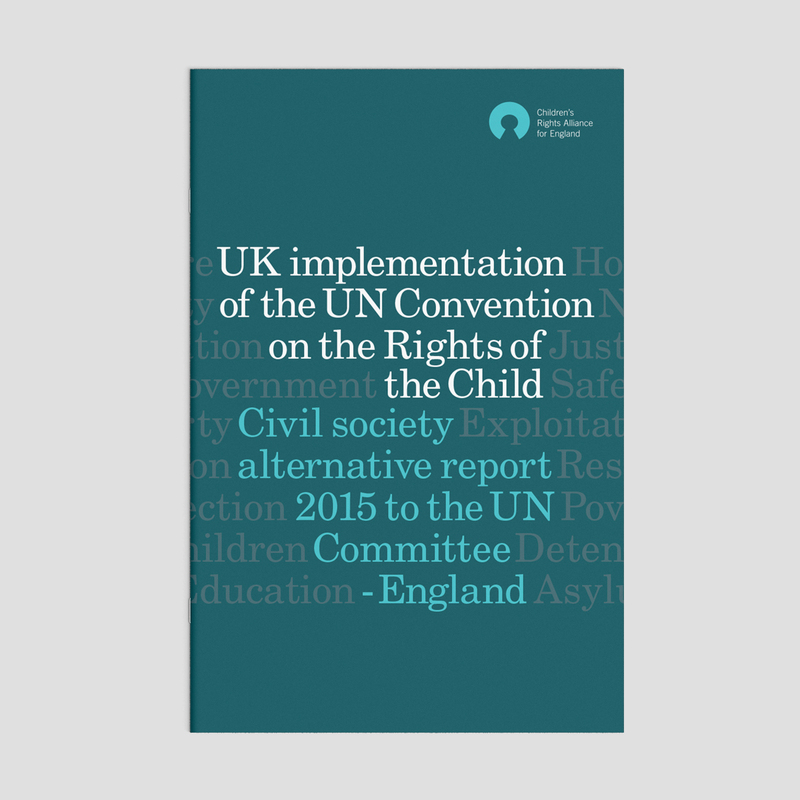 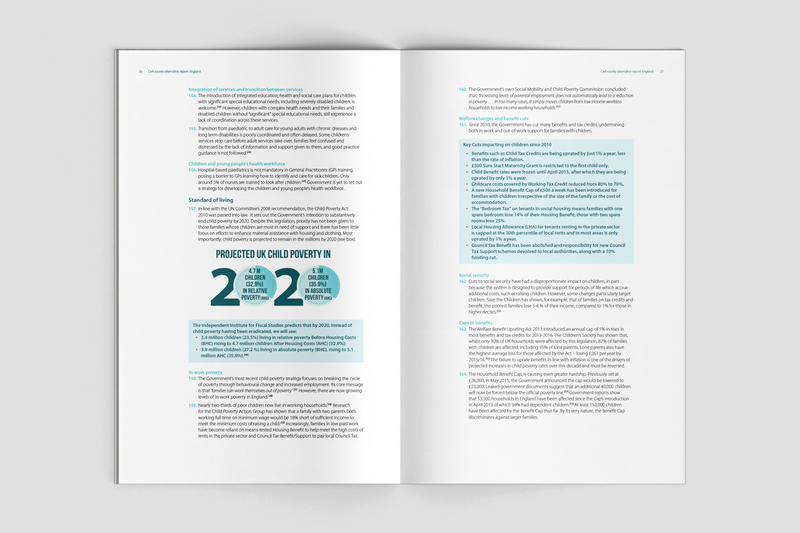 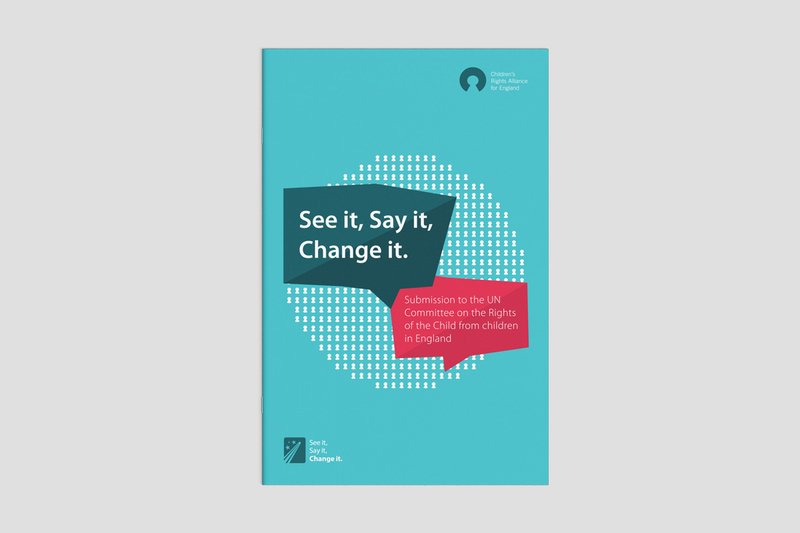 Publications for Children’s Rights Alliance for England NGO submission to the United Nations 2015. 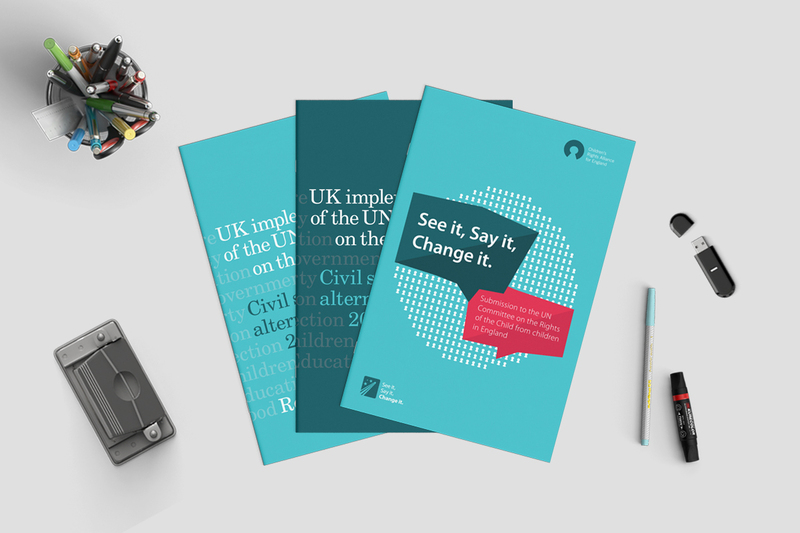 Infographics created for the reports where used as social media graphics to raise awareness of the publications. 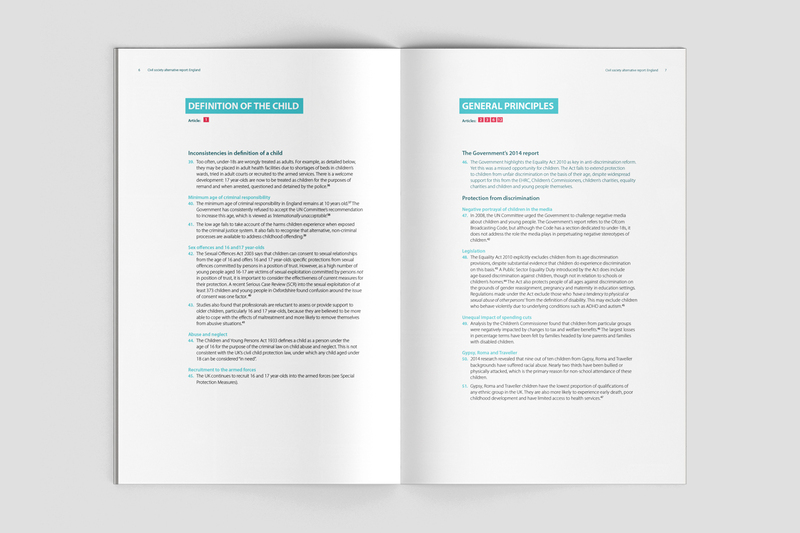 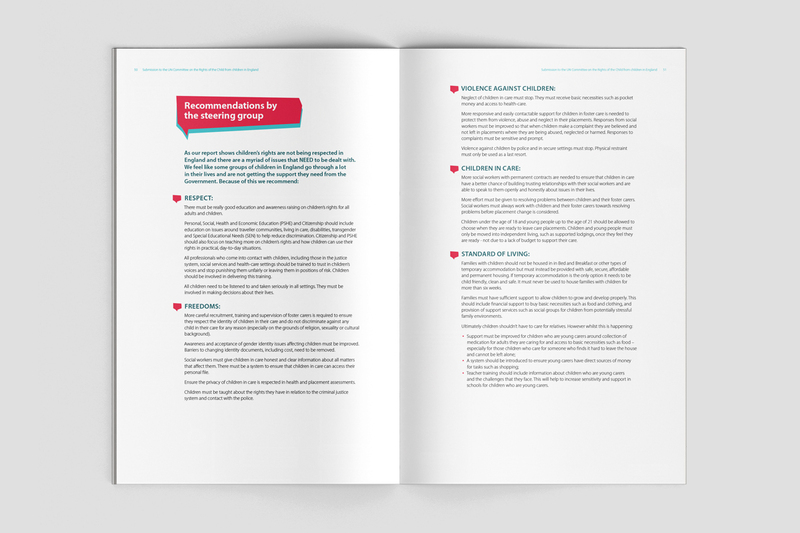 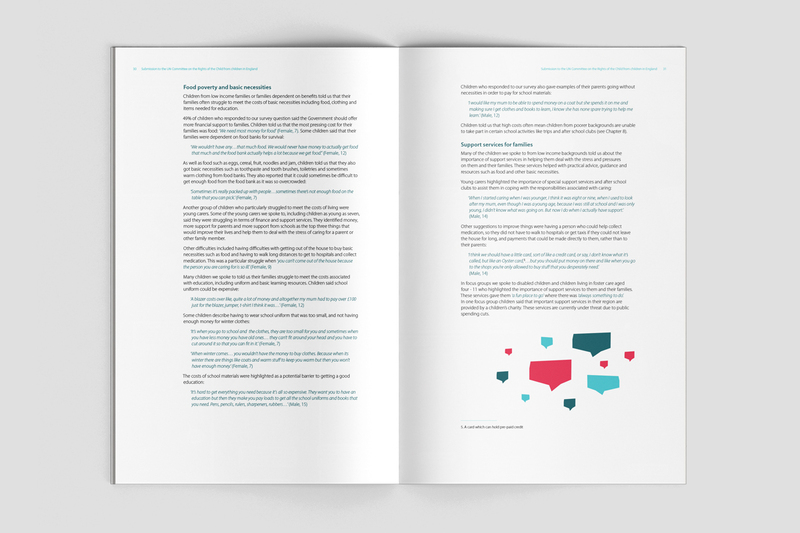 The Children’s submission was developed by a steering group of children and young people who also set the design brief for the report.